Hello everyone, I’m sorry I haven’t been able to post as frequently as I was last week, but it’s back to school and it’s a little bit harder to find time, but I’m managing! Also, expect some more interesting posts soon because it is my birthday in a week, yay! Anyway, on with the post. So, these two concealers have been my favourite recently, I kind of scrapped the collection concealer a while ago. I can’t say these two are the BEST concealers out there, but I’m not that keen on spending a lot on a high end one. So let’s compare. To start with the ‘Match Perfection’ concealer. This obviously is the concealer to go along with the match perfection foundation. I find this concealer to be very creamy and extremely similar to a foundation like feel. It does say ‘highlights’ on the packaging, but I don’t think it does that. It kind of makes my under eyes feel a bit cakey. However, the coverage is wonderful and it counteracts your dark circles so well, so its a bitter sweet sort of thing really. 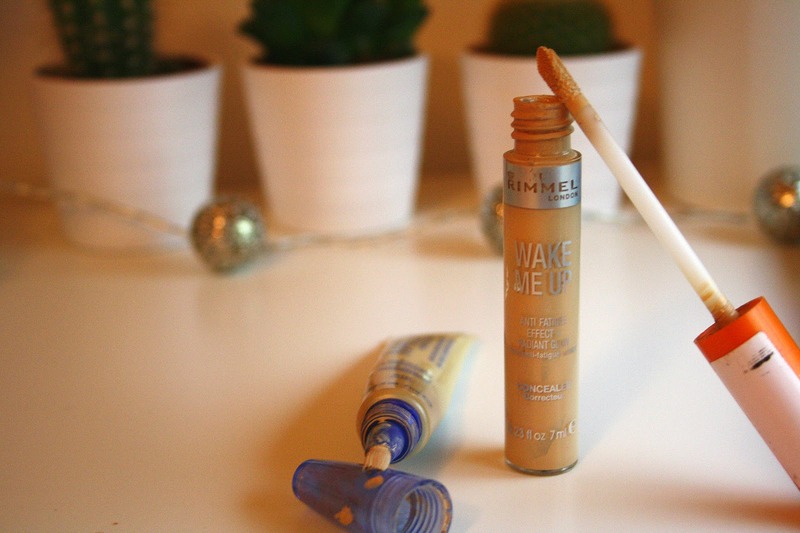 Secondly, the ‘Wake Me Up’ concealer, literally SO many people have raved about this and how amazing it is. I do agree some what, but not 100%. It does give a glow to your under eyes, and makes you look a lot more awake but the coverage isn’t as good as the ‘Match Perfection’, at all. It’s a very light concealer, as it doesn’t feel cakey at all but then that sort of explains the coverage problem. If I had too pick between the two, I think I would go for the Wake Me Up, purely because I don’t feel like I have a ton of make up under my eyes. The applicators for the two are totally different, and I think you can maybe guess which one I prefer more. (I feel like I’m really criticizing these two products, but I actually quite like them both, oops!) 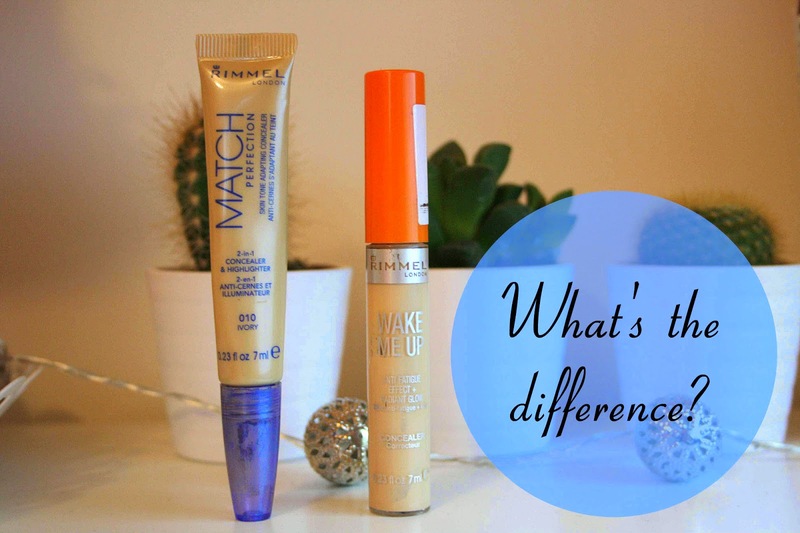 However, the Wake Me Up is sooooo much easier to apply, since it just has the usual plastic tube with the wand type thing, where as the Match Perfection has a brush like applicator, which I honestly cannot stand! You have to squeeze the tube for concealer too actually force its way out, it’s just a very annoying design. If it was like the Wake Me Up, I don’t think I’d have such a problem with it. I was so confused when I first went to use it as to how I was supposed to get it out. I’m sure a few other concealers are like this too and it was just me being stupid, but still, less time is wasted using the Wake Me Up! So there we have it, what is your favourite concealer? I hope you enjoyed this post, and maybe you made a decision over which one you will go for next time? Thanks for reading!